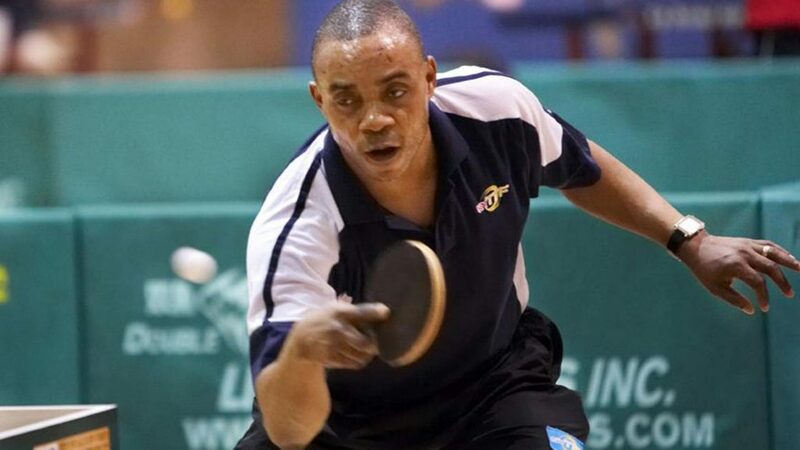 Commencing on Monday 21st November with the finals being four days later on Friday 25th November, the Asoju Oba Molade Okoya-Thomas Table Tennis Cup will be held at the Molade Okoya-Thomas Hall in the Teslim Balogun Stadium in Lagos. It will be the 48th edition of the celebrated tournament which was first staged in 1968 and has been held every year since that date; it is the country’s longest running sporting competition. 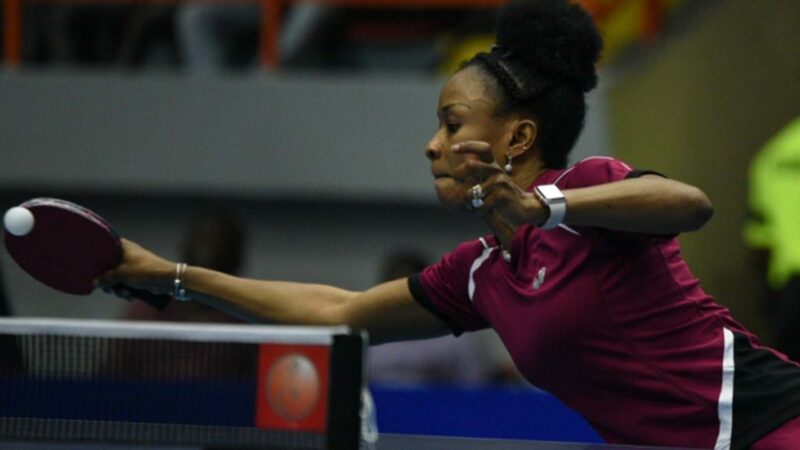 Furthermore, the winners have included some of the most illustrious names in the annals of Nigerian and African sport; the likes of Atanda Musa and the late Yomi Bankole, alongside Bose Kaffo and Olufunke Oshonaike, the recently crowned African Women’s Singles champion, are all former winners. Sadly, the instigator of the tournament, Sir Dr Molade Okoya-Thomas passed away in 2014 but the tournament continues thanks to his children. At the press conference staged on Tuesday 15th November briefing to unveil plans for this year’s edition, Ayodeji, the son of the late Molade Okoya-Thomas, pledged the family’s resolve to continue to stage the tournament. Also, he advised that the Women’s Singles trophy would be renamed and known as Lady Olivet Okoya-Thomas Women’s trophy, after his late mother. Additionally, Deji Tinubu, the Chair of the Lagos State Sports Commission advised that support for the tournament which had proved a breeding ground for most of the country’s top players, would continue. “I must say that this is the foremost sporting competition in the country and seeing some of the champions still connected to the championships shows the good organisation that the competition continues to enjoy. I am pledging the support of the state to the tournament and we hope more top players can come through again like other top stars Olufunke Oshonaike and Atanda Musa”, Deji Tinubu, the Chair of the Lagos State Sports Commission. At the inaugural edition in 1968, it was former Nigeria national coach, Babatunde Obisanya who claimed the title; additionally it secured him a place in the national team in the 1960s. However, perhaps more notably, it was at the tournament that the rivalry between Atanda Musa and Yomi Bankole became synonymous with the sport in Nigeria. 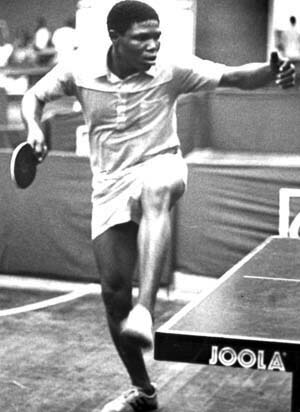 In the 1980s, the fierce competition between Musa and Bankole reached great heights, Atanda becoming the first table tennis player in Nigeria to win a brand new Peugeot 504 car for claiming the Men’s Singles title at the expense of Bankole. Similarly, Seun Ajetunmobi, Ganiat Ogundele and Olajide Omotayo, all Men’s Singles champions, have driven away in stylish cars following their Men’s Singles success.